1982, Cable stay, road bridge. The Kessock Bridge's four towers dominate the Inverness skyline. 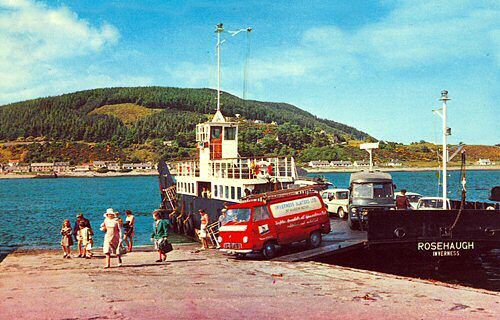 Built in 1982 to a German design, this bridge replaced a ferry which operated here for centuries. 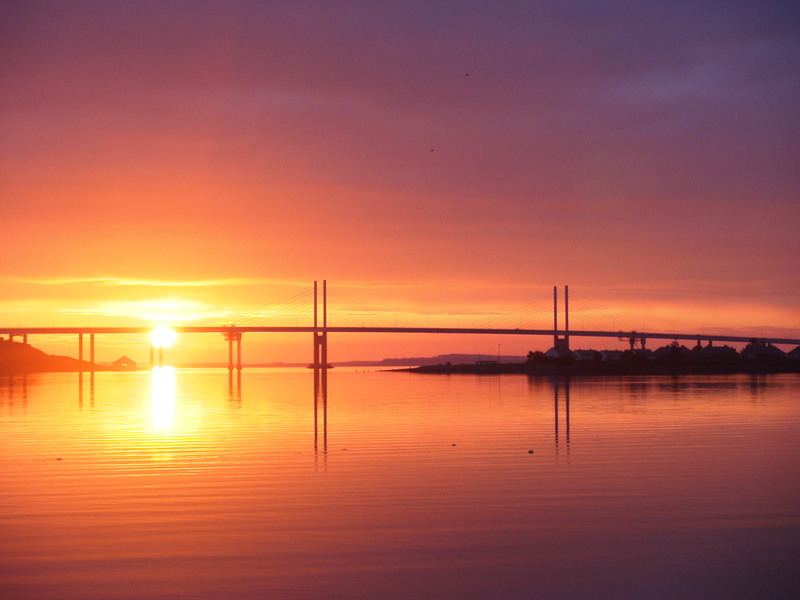 The Kessock Bridge breathed new life into the north of Scotland. It quickly became Inverness' favourite suicidal jumping point. The final support on each approach doesn't look like it carries any weight. 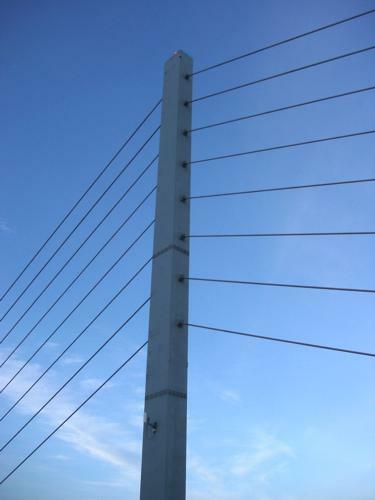 In fact it appears as though it might actually be in tension, due to the cables connecting to the roadway above it. The four columns are hollow. There is a ladder inside which allows access to the aircraft warning lights at the top. 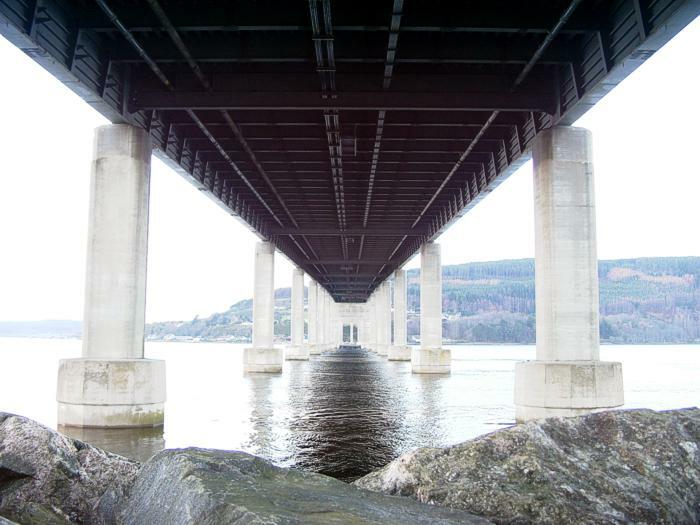 The underside of the Kessock Bridge shows it to be a very rigid structure. Unlike the Infirmary bridge, this one doesn't sway at all.